P.K. Yonge’s Multi-Tiered System of Supports (MTSS) is the framework used to meet the needs of every student, from elementary school through high school. At the secondary level, MTSS is a relatively new framework that is still being worked out by schools across the country. P.K. Yonge began with implementing the framework successfully at the primary grade levels, and since 2009, have developed a “work-in-progress” model at the secondary level. MTSS looks different at the secondary level, because the focus for students is on content and a wide variety of classes. The grade-level Student Success Team (SST) is a cross-functional team that plans for, monitors, and evaluates both the academic and behavioral needs of each student. Together, the teachers and support staff collaborate to analyze student data and make action plans. Those in need of additional academic or behavioral support are identified, and interventions are planned and monitored. Within the MTSS framework, every student receives core instruction, known as Tier One. Some students need supplemental instruction, which is referred to as Tier Two, and a small cohort of students receive the most intensive intervention and supports, known as Tier Three. This tiered system is used for both academic and social and emotional supports. 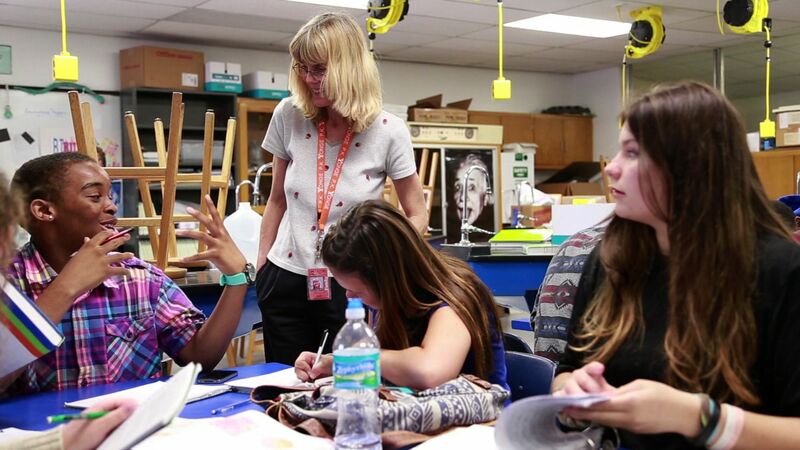 MTSS is a school-wide practice at this K-12 school. See how P.K. Yonge uses MTSS at the elementary school level. At the high school level, P.K. Yonge continues to use Student Success Teams (SST) to make all decisions about tiered instruction. The team is made up of the K-12 MTSS Support Specialist, the Learning Community leader, all of the core teachers, administrators, guidance counselors, speech and language pathologists and sometimes occupational therapists. Additional people are brought in on an as-needed basis, and parents are consulted on all decisions. The SST meets every four and a half weeks across K-12. The Learning Community (LC) leader is a role created by P.K. Yonge, usually someone with an expertise in education, school psychology, or special education. At the secondary level, there are 3 LC leaders, one each for 6-7th, 8-9th, and 10-12th grades. Once data is collected and analyzed, the LC leader identifies classes where there is a cohort of students needing support and interventions. Because at the secondary level students are focused on a large variety of content, the LC Leader essentially “goes back to school” and immerses him/herself in specific content areas, whether that is 10th grade English, Biology, or Geometry. The LC Leader then works closely with the students and teachers in those classes by either pushing into those classes or meeting with students in afterschool help sessions. At the high school level, Tier 1 is universal, core instruction for all students, is delivered by the classroom teachers. For Tiers 2 and 3, students are not pulled out of the classroom to form small groups like at the elementary level, since they would be missing crucial content in their classes. Instead, teachers and the LC leader push-in to the classroom to work with students after the core lesson is delivered. Much of the work is around helping students with organizational, study and life skills, as well as strategies to help them understand the subject material. In addition to pushing-in for Tier 2 and 3 support, P.K. Yonge has established afterschool help sessions for all high school students. Students who need the extra support sign a help session commitment letter and are required to go to help sessions on specific days and times. In addition, any student who would like some additional support from their core teacher, are also welcome to attend. These help sessions have become a comfortable place for all students to complete homework, ask questions, and collaborate with classmates and friends.